There are tons of Android emulators available out there for Mac and Windows, Bluestacks being the most popular one. Android Emulators are very beneficent for app developers, it helps them in testing their applications for smartphones. Not just developers, in fact, a lot of casual users also use Android emulator on their PC to play Android games on their PC. Well, Today, in this article, we’ve got something similar for you. Nox Player is a lightweight Android Emulator and doesn’t require many resources of your Mac. Nox App Player lets you allocate the amount of Ram and resources for the emulator to consume. It supports almost all the games of Google Play Store, however, some games may throw compatibility error but for the most part, it works quite fine. You can customize the keymappings in Nox Player in order to have a better control set up while playing Android games. Apps like Google Play Store and Browser are pre-installed in Nox App Player, it’s a ready-made Android to describe in short. 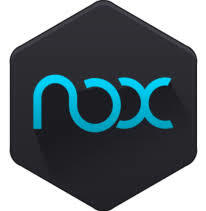 There are actually two ways to install the Nox App Player on your Mac, i.e Online Installer, and Offline installer. The former method includes downloading the emulator files over the internet, and the latter one doesn’t require the use of Internet connectivity. First of all, download the Nox Player Online Installer file on your Mac.